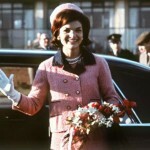 Ever wonder who the leading designer was behind the very chic, very put-together looks of Jackie Kennedy? 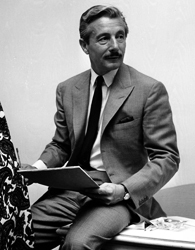 That would be Oleg Cassini—the Kennedy’s “Secretary of Style,” who created over 300 outfits and looks for the First Lady during the Kennedy’s residency at the White House from 1961-63. As we all know, I love Jackie Kennedy’s style—and it turns out we have much of that style to thank Oleg Cassini for. Born in 1913 in Paris to wealthy Russian parents who had fled the country after the revolution, Cassini was the son of a count and grandson of the Russian ambassador to the United States. Cassini’s mother took up dressmaking in Florence, and Cassini himself moved to the United States in 1936, eventually landing a position at Paramount designing costumes in the early 1940s. Less than a month after her husband was elected President, Cassini was secured as Jackie Kennedy’s personal designer and stylist. He had originally been called in by Jackie’s father-in-law Joseph Kennedy, who recognized the potential to enhance the Kennedy package—Cassini, a family friend, turned out to be the number one choice. 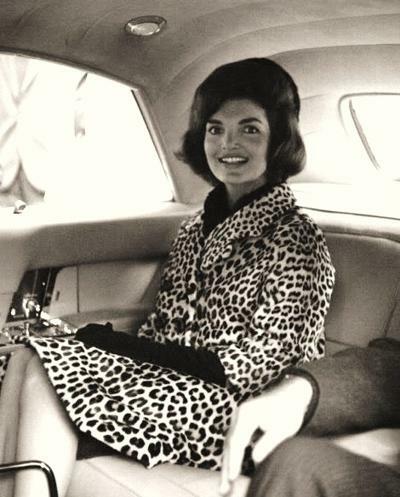 In 1962, Cassini suggested designing a fur coat for Jackie Kennedy—leopard, to be specific. 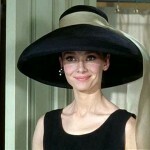 According to Cassini, Kennedy loved the idea because such a look was not commonplace during the time. The coat Cassini created—A-line, double-breasted, knee-length with three-quarter length sleeves—was an instant hit. 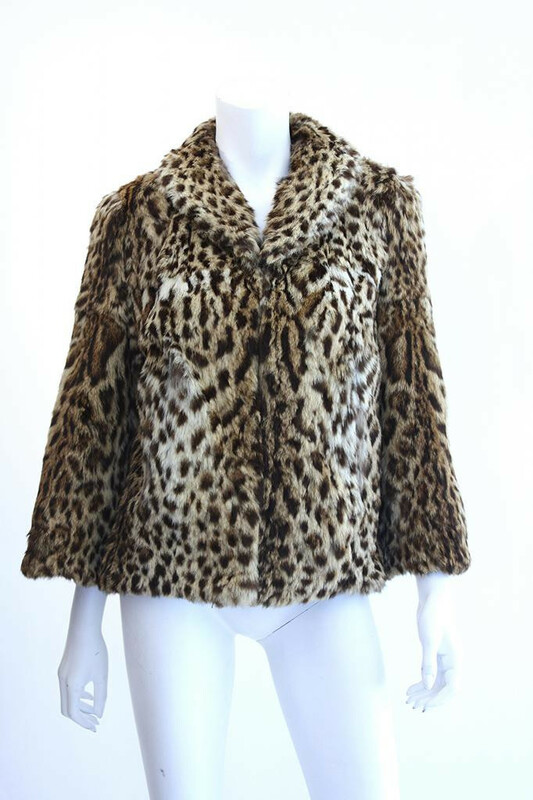 Jackie Kennedy’s style was photographed, especially in her Cassini leopard jacket, all over—shopping in New York, on the way to India with her husband. Women everywhere wanted it, and tragically (in what can definitely be described as the darker side of fashion), 250,000 leopards were killed to help fill the demand. 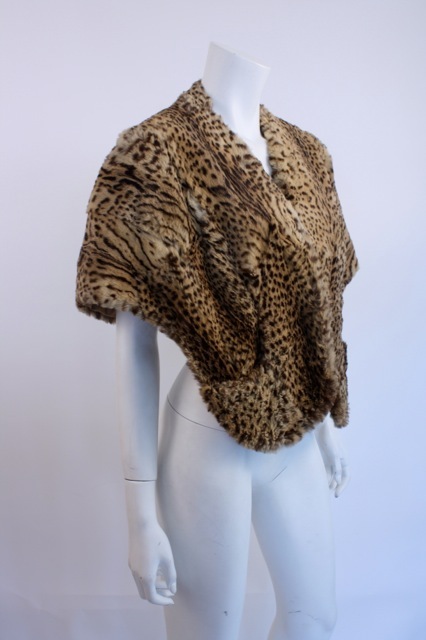 (side note: Cassini saw the toll this craze had on the leopard population, and from then on out only designed with faux fur and has done his best to destroy the very market his design helped create. He has also developed Evolutionary Fur, a synthetic fiber that is durable and very easy to maintain.) To downplay the impact it had on the leopard population would be egregious—but that is not to say that the coat was not stunning in its simplicity of design and inherent chicness. Cassini obviously had no idea the impact his design would have, and his efforts after the fact are no doubt redeeming. 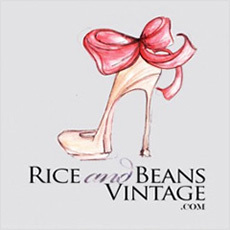 With all of that in mind, Rice and Beans Vintage is pleased both vintage faux fur coats & Vintage Fur Coats including this genuine Vintage ocelot fur coat that would make Jackie proud.